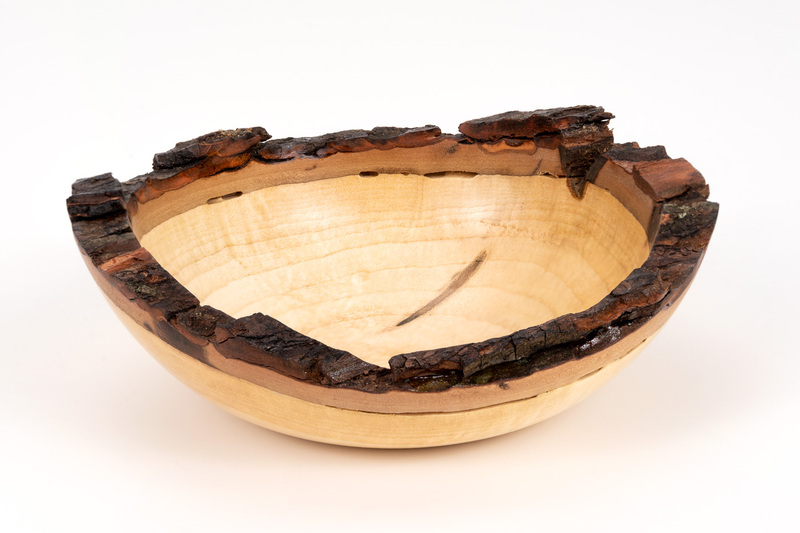 Brian is a woodturner inspired by the rugged forests of Muskoka. 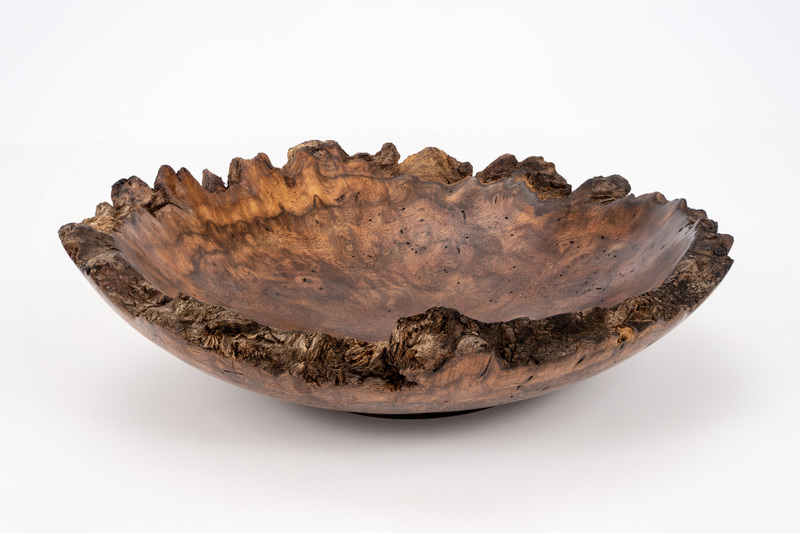 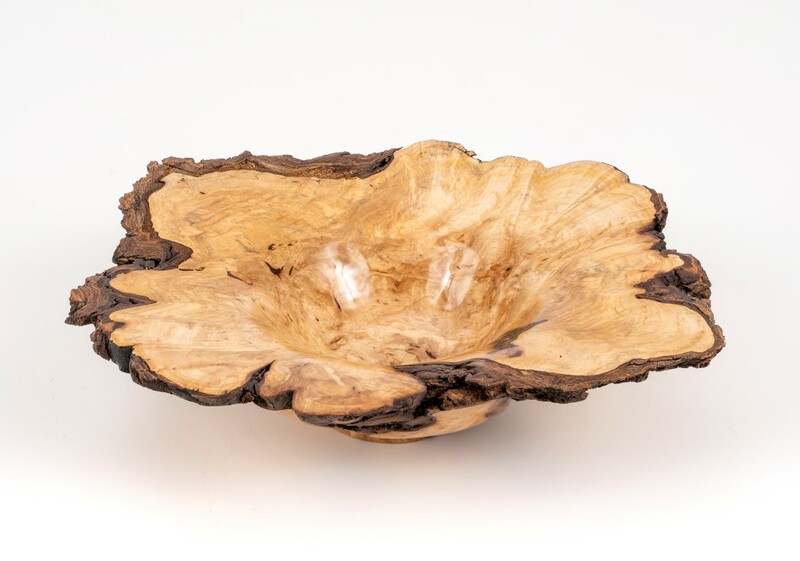 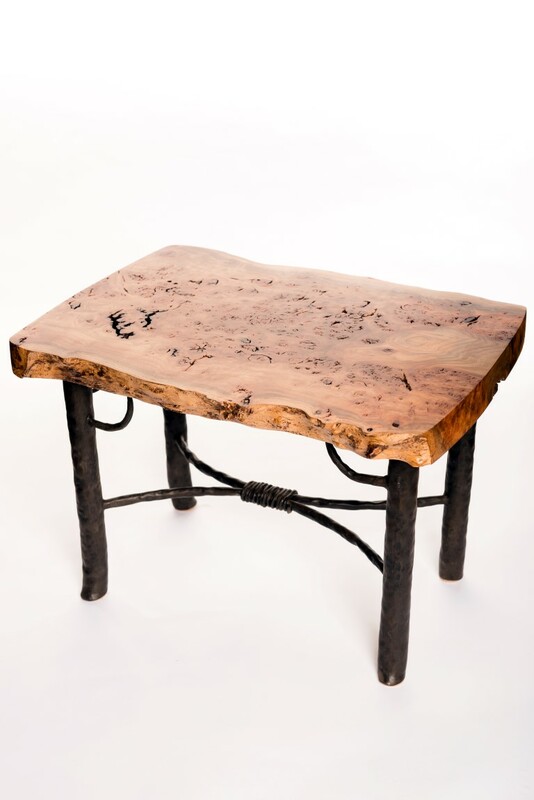 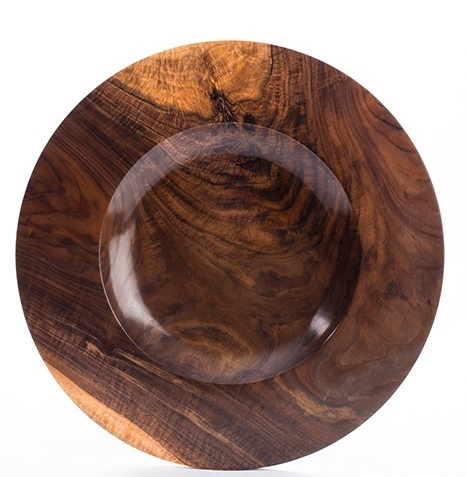 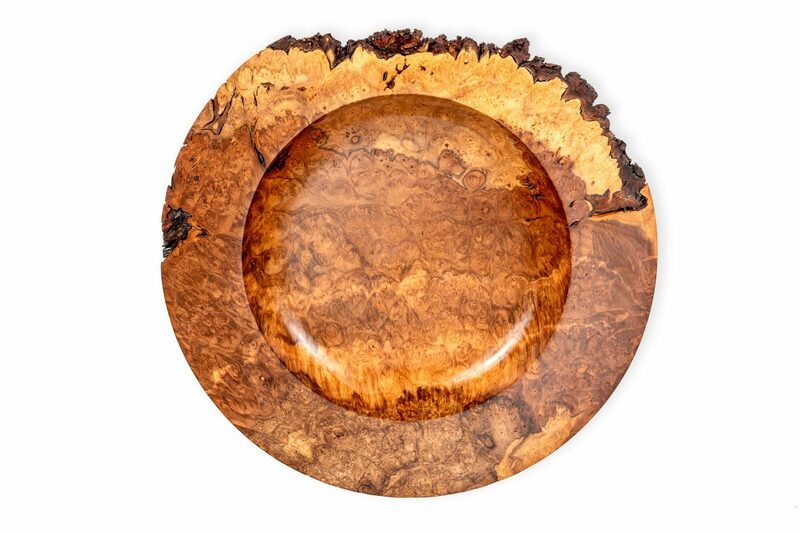 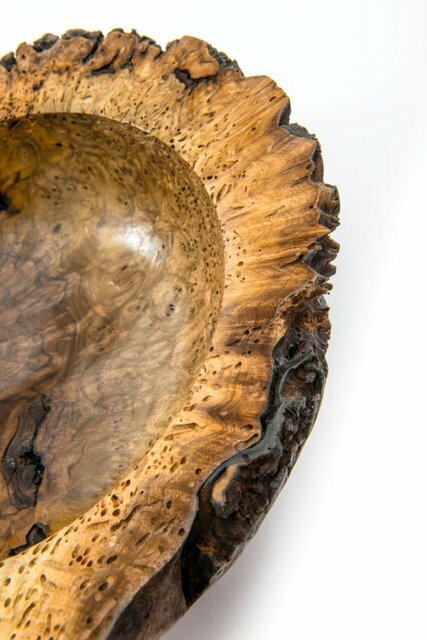 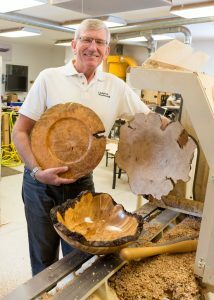 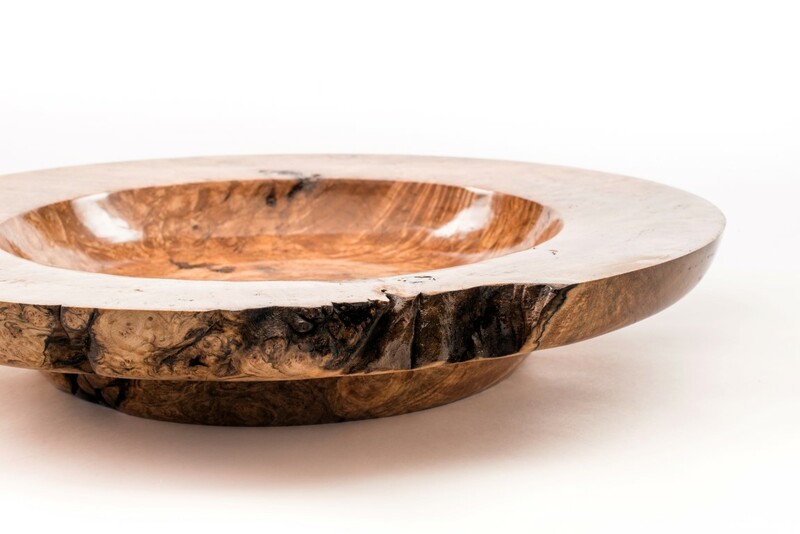 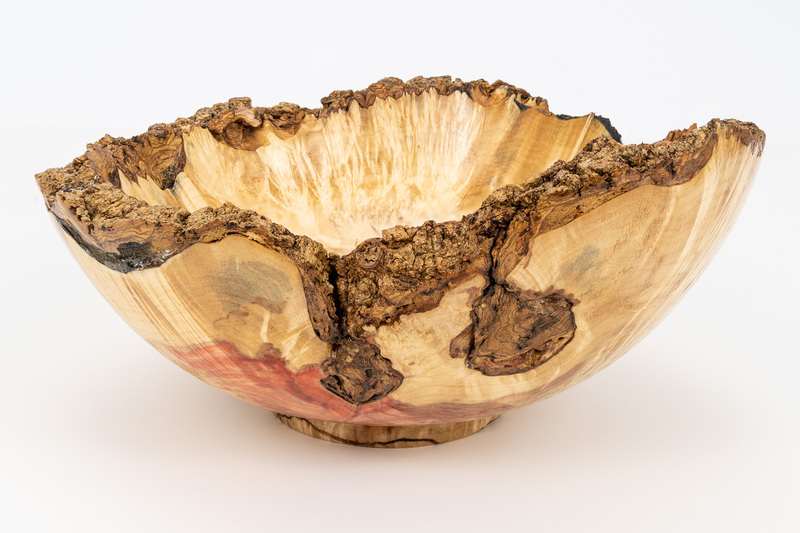 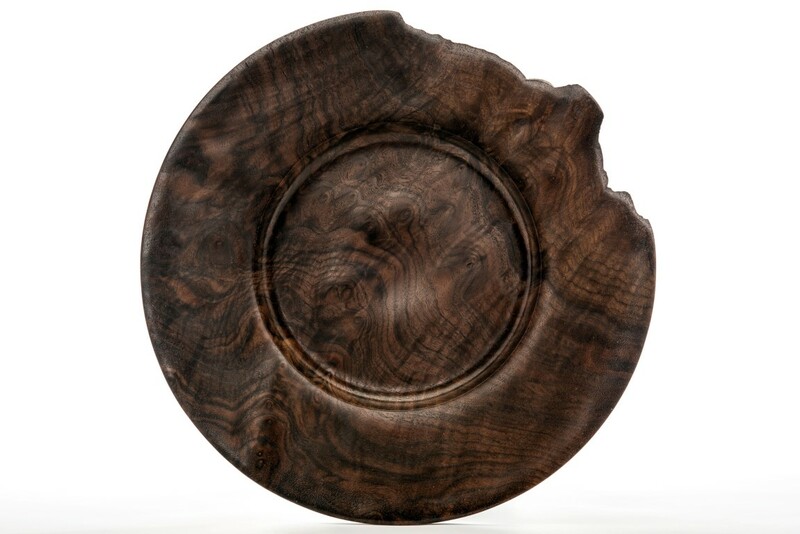 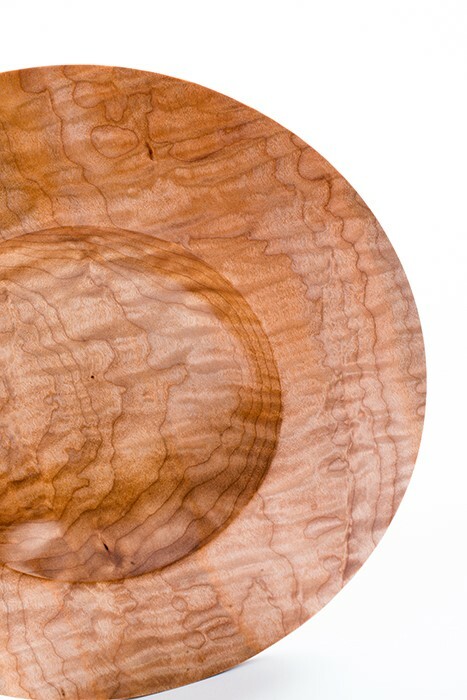 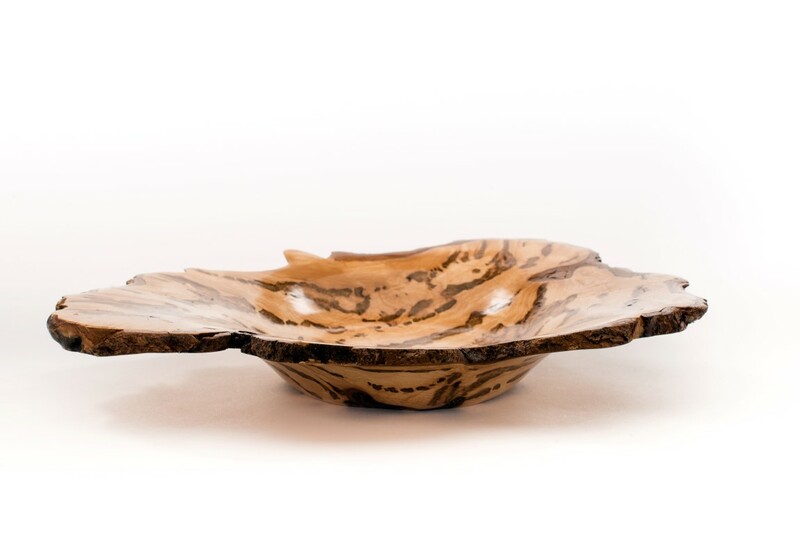 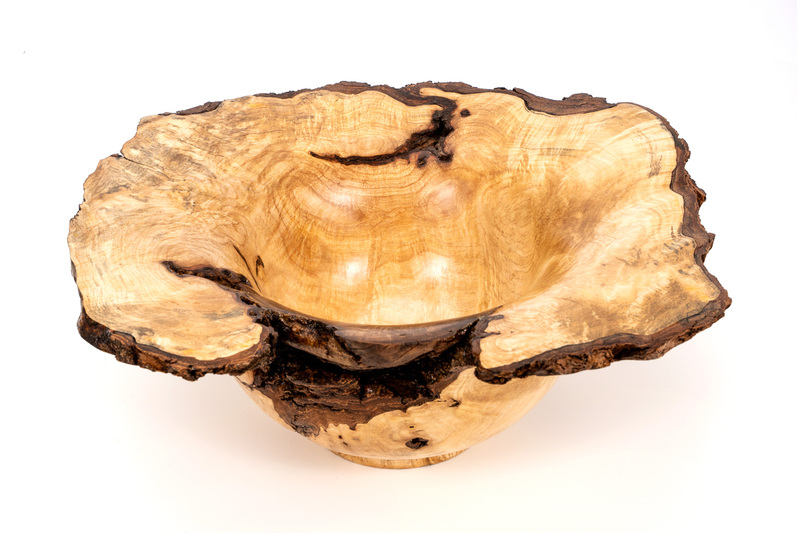 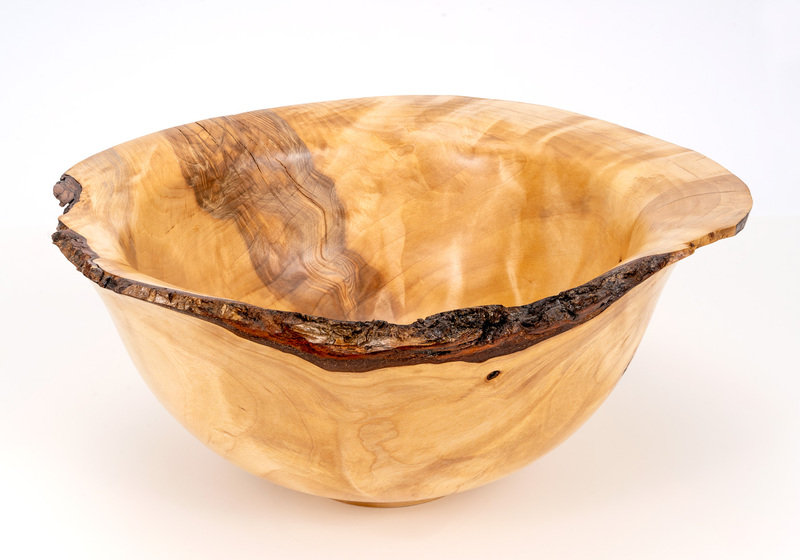 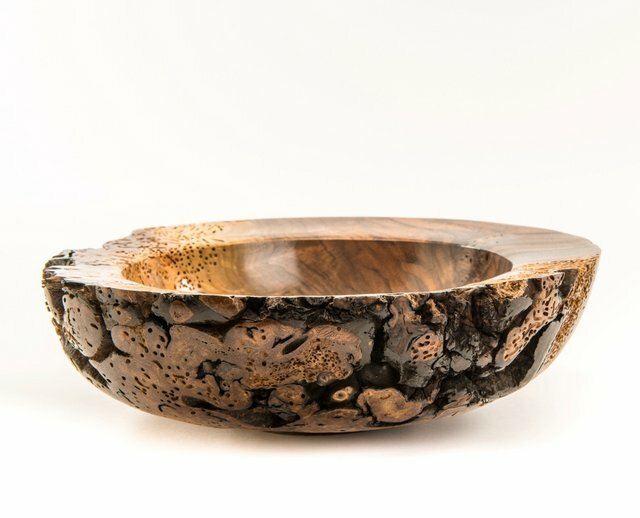 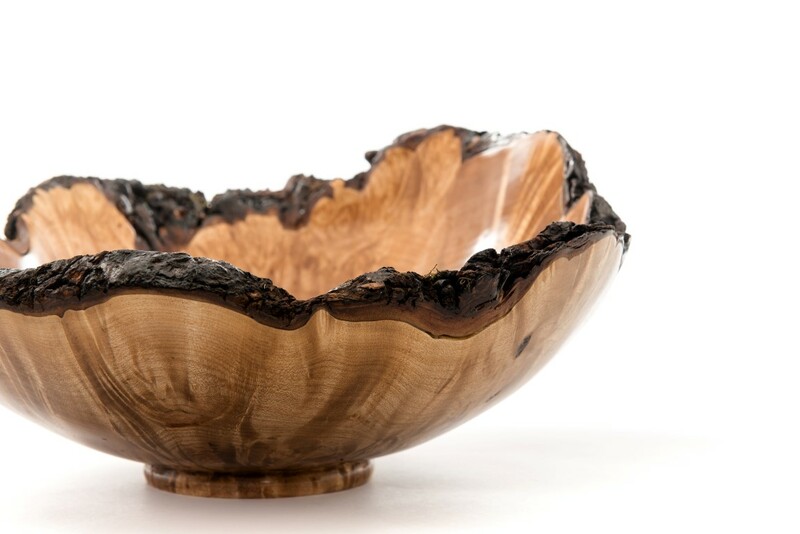 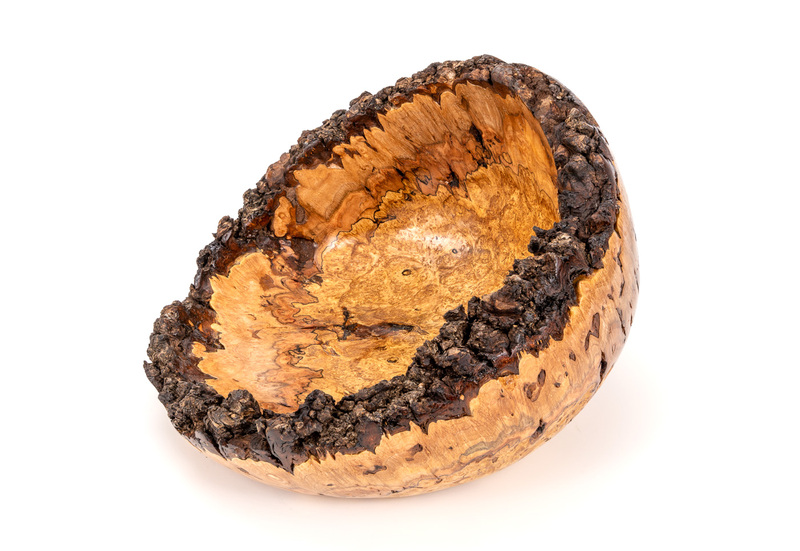 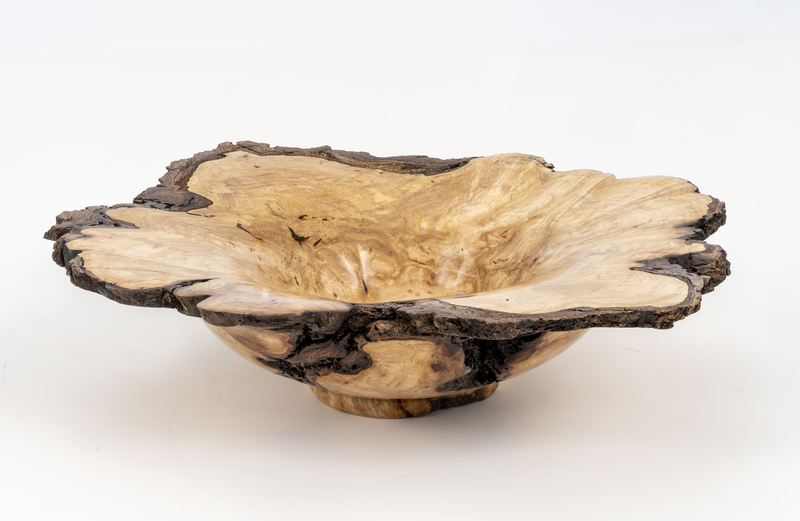 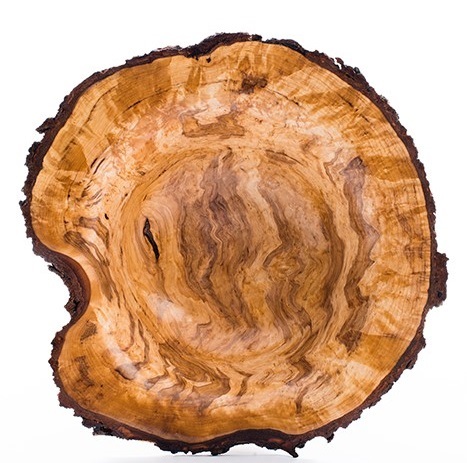 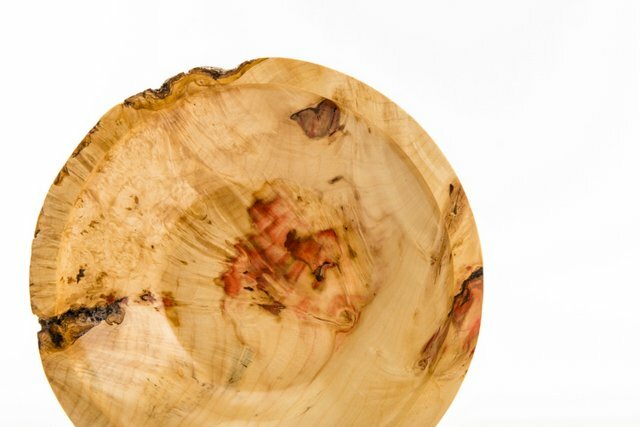 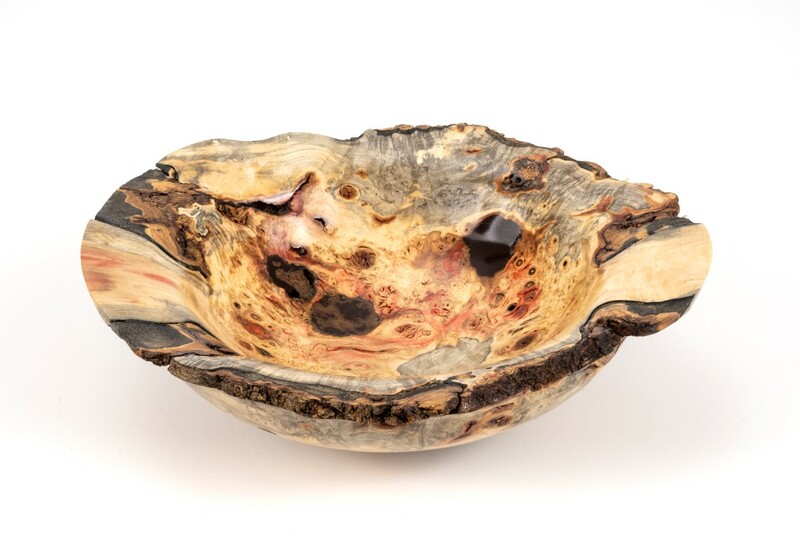 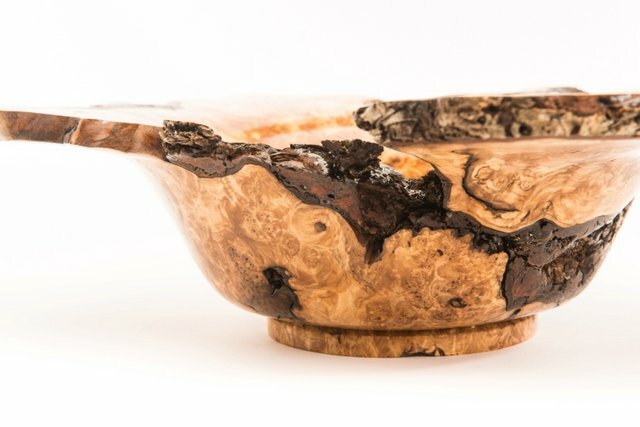 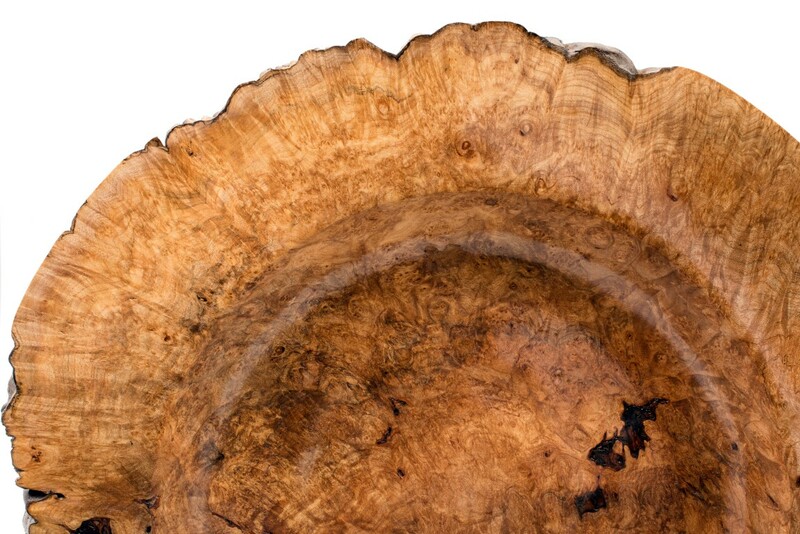 Bark-covered burls and slabs of wood are turned on the lathe into handcrafted bowls, platters and live-edge furniture. 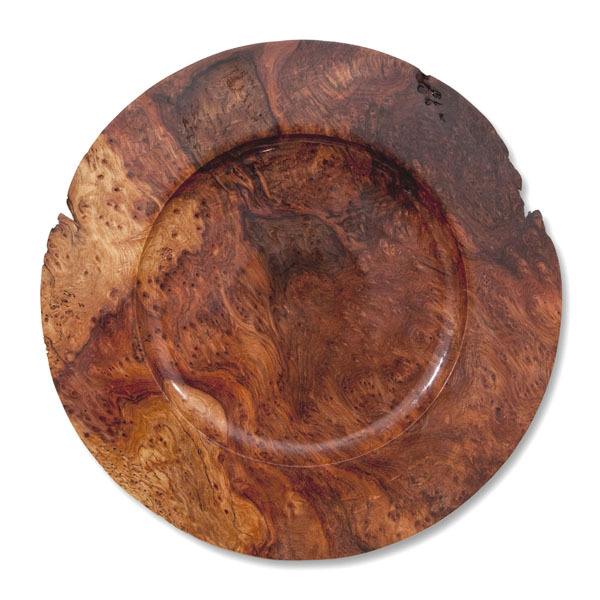 Brian has perfected a food-safe oil finish that enhances and protects each piece so they grace your table and display your food to perfection. 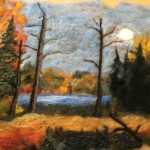 Brian’s workshop on beautiful Rebecca Lake is open by appointment. 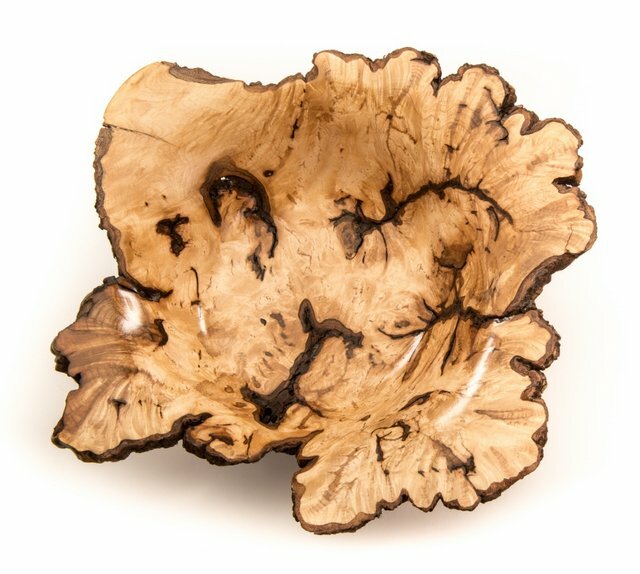 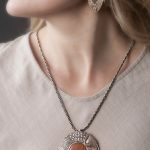 Commissions for custom turning of your unique wood or burl are always welcome.